You are currently browsing the category archive for the ‘Organic Pajamas’ category. My Baby Pajamas will be receiving New Jammies Organic pajamas in stock next week. We will be refilling New Jammies Carrots, New New Jammies Peas and New Jammies Blueberry. New Jammies Organic pajamas is discontinuing the Apples and the Bananas. My Baby Pajamas will also be bringing in new prints the month of September. We have marked down the New Jammies Organic pajamas Apples and Bananas prints of what we have left in stock. Once the Apples and Bananas are gone we will not be able to reorder. My Baby Pajamas is receiving new merchandise weekly but we can never seem to have enough footie pajamas. It could be winter or summer and footie pajamas are always a must have for moms with baby and toddlers. Footie pajamas are great for younger children any time of year because babies do not sleep with blankets. The footie pajamas keep their feet and body warm. My Baby Pajamas offers Skivvydoodles footie pajamas for boys and girls, Kicky Pants Bamboo footie Pajamas, New Jammies Organic footie pajamas and arriving next week we will be carrying Sweet Peanut Footie Pajamas. Be sure to check out all our Footie pajamas. We have marked down many footie pajamas to make room for our Spring Footie pajamas. My Baby Pajamas wanted to update our customers on our Fall Pajamas. We just starting receiving Claesen’s today. We should be receiving more tomorrow and hopefully will have Claesen’s up on the website by tomorrow evening or Wednesday. Also, we will be receiving more Skivvydoodles on Friday and At Home pajamas. New Jammies Organic Pajamas should also be here by Wednesday of this week. 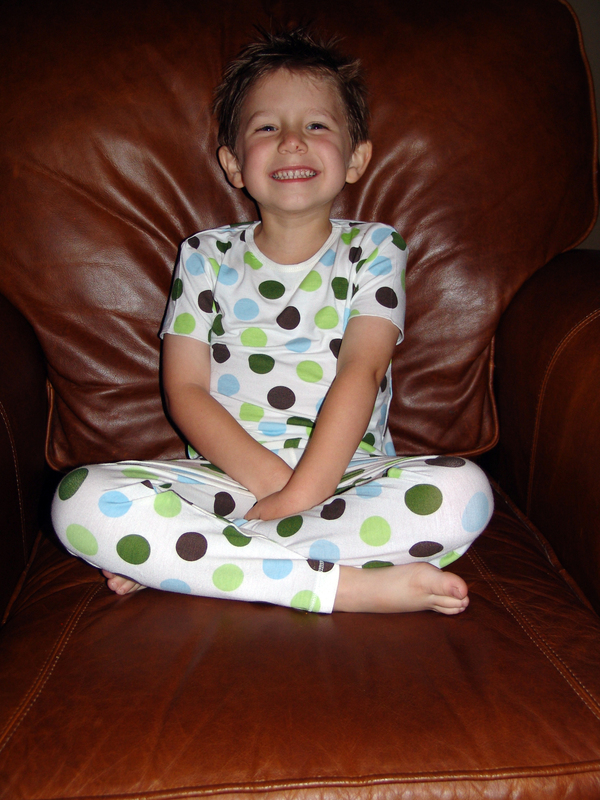 We will also be adding a new pattern to our New Jammies Organic Pajamas, the Blueberries. My Baby Pajamas is having a back to school pajama SALE. Use code SCHOOL15 at checkout to save 15% off your entire order. This is even including sale items!! Shop this weekend because the SALE ends Sunday! Also, be sure to check back in next week. My Baby Pajamas will be receiving more Skivvydoodles Fall pajamas, new Wes and Willy pajamas for boys, and more New Jammies Organic Pajamas. Kicky Pants Spring Pajamas IN STOCK ! Kicky Pants Bamboo Spring pajamas have arrived and are live on our website www.mybabypajamas.com. Kicky Pants bamboo come in sizes 3-6 month up to size 4T. We have short sleeve pajamas for the spring and summer and footie. The footie bamboo pajamas come in sizes 3-6 month to 18-24 month. Jack has on his Kicky Pants Bamboo S/S Boy Dot Pajamas. Kicky Pants Pajamas are incredibly soft and luxurious feeling. Bamboo is an eco-friendly, sustainable crop that grows wild without the aid of fertilizers or pesticides. Bamboo fabric is naturally antibacterial, antifungal and antistatic. Bamboo absorbs water 3-4 times better than cotton, keeping skin comfortable, rather than sticky. And, bamboo stays 2-3 degrees cooler in the hot weather and 2-3 degrees warmer in the cold weather.